This stained glass wall hanging is handcrafted by the artist from beginning to end. Cut, assembled, soldered, and finished ready to hang. 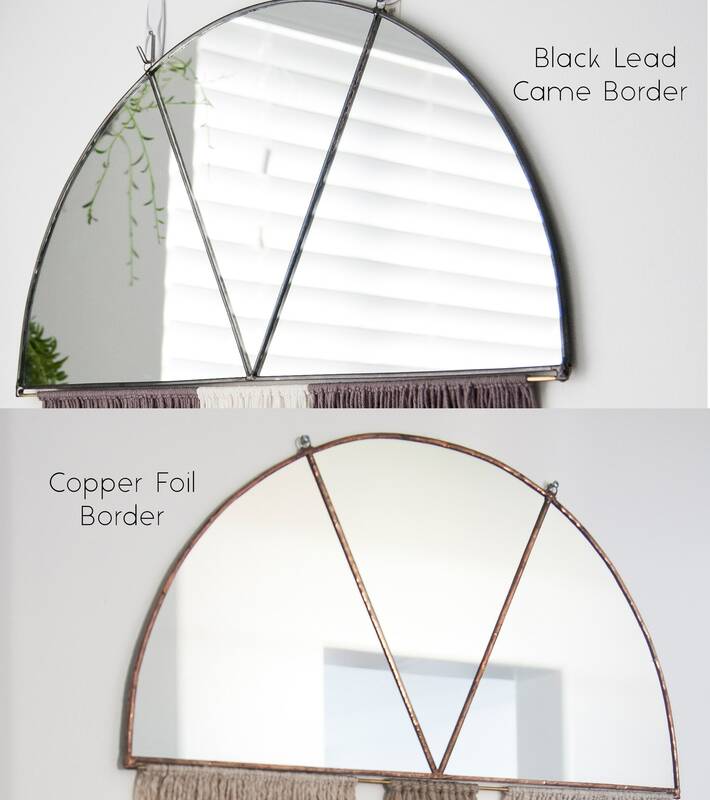 The piece uses mirror that has been cut and assembled into 3 sections creating a half circle shape using foil tape (another method for building stained glass windows) or lead came. Then finished with a patina. 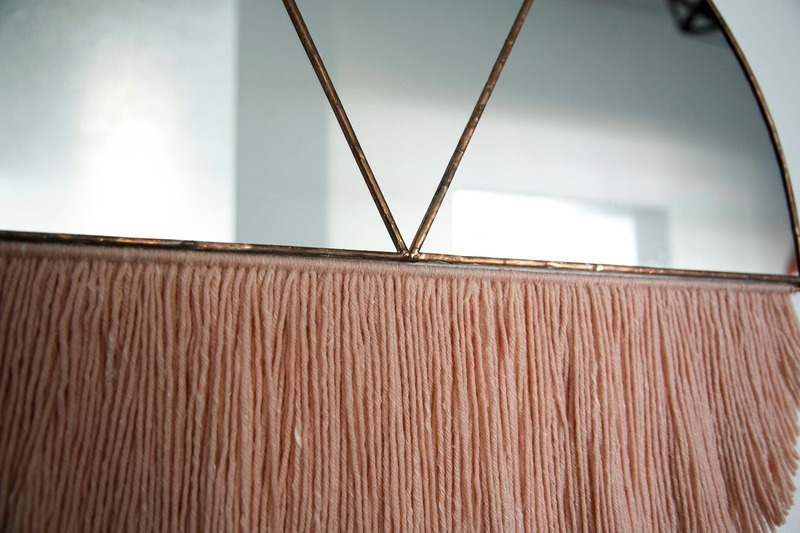 The fringe on the bottom is being held by a brass rod. 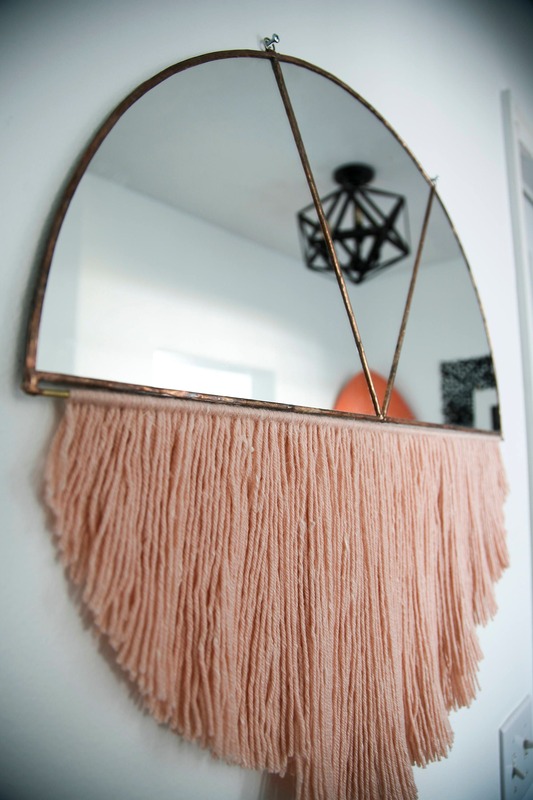 The fringe is shaped to "mirror" the top, creating a full circle feel. 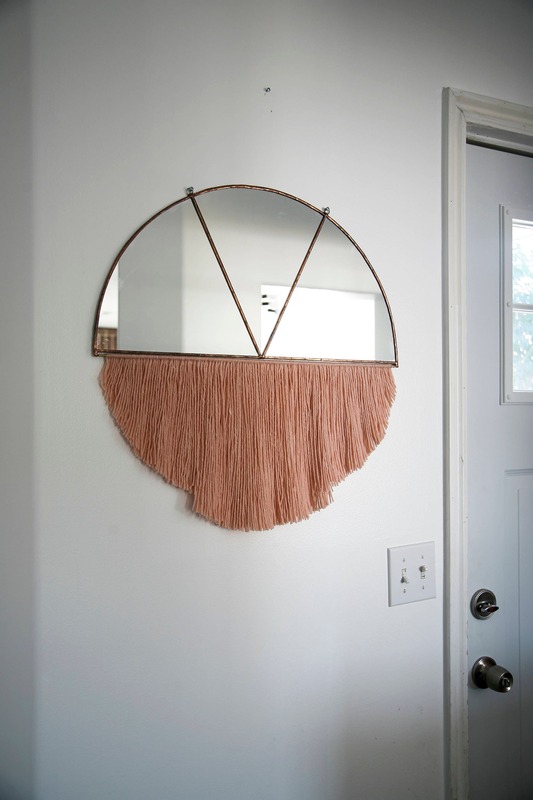 2 rings are attached at the top of the mirror for hanging. 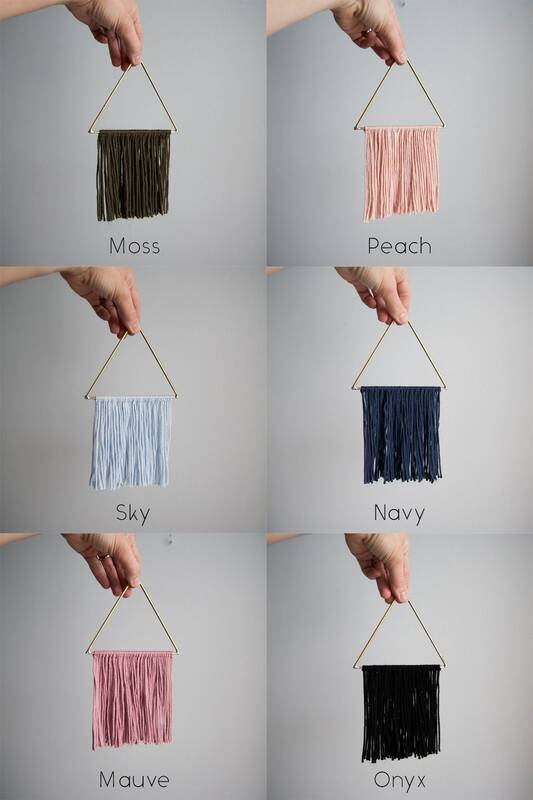 Fringe colors: see photo for options. 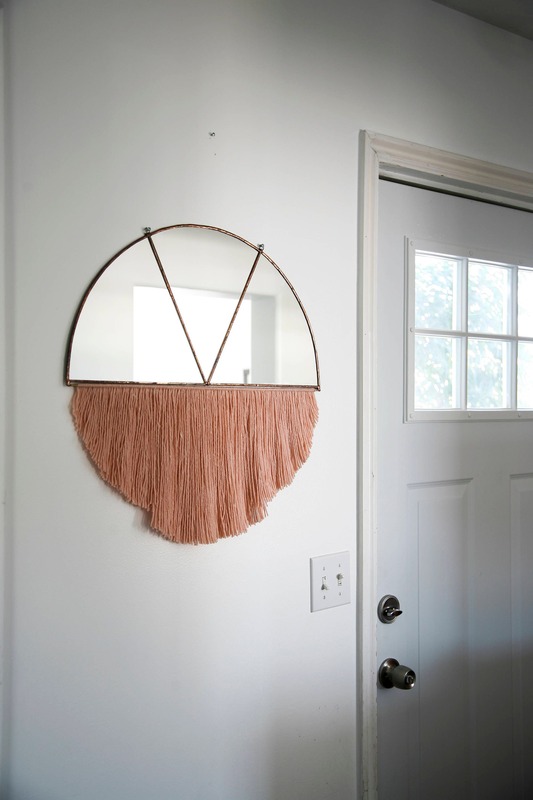 Blush photographed. Contact for custom color. 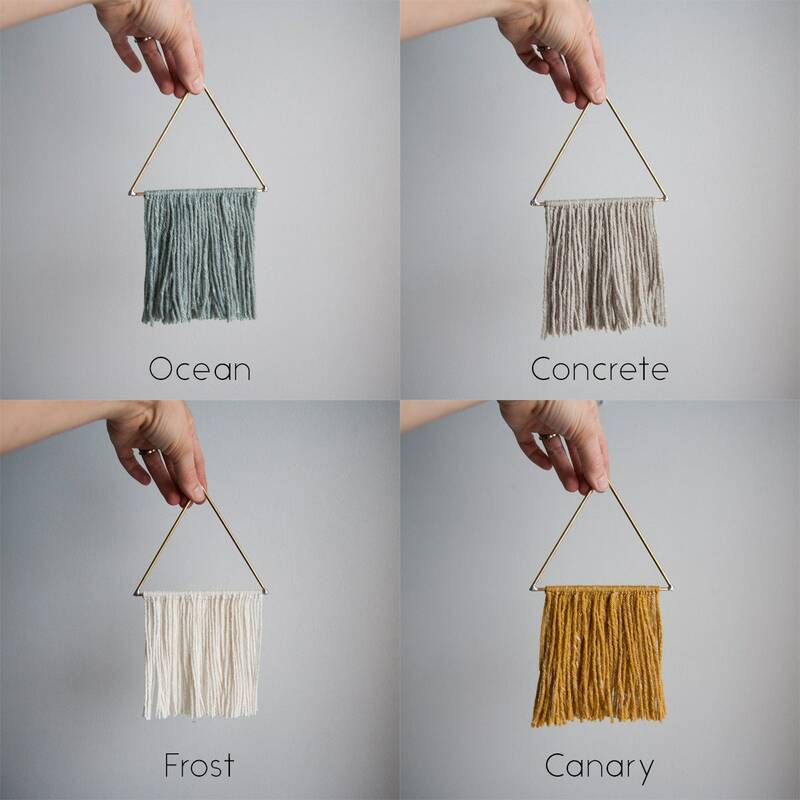 Assembled options: Copper foil border or black lead border. Solder* is finished with a copper patina for foil border. Lead* is finished with black patina. 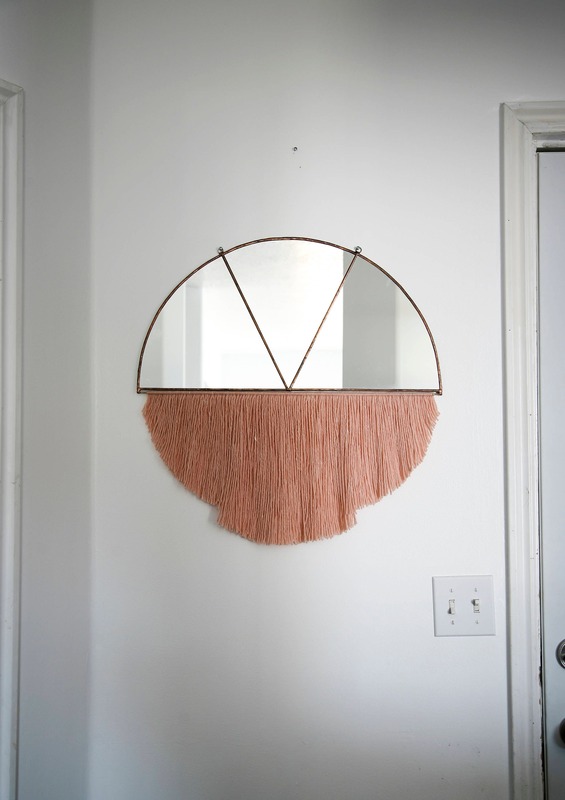 Dimensions: Mirror is about 22" x 11". With fringe is about 22" x 24". Item is made to order and will ship 6 weeks from purchased date. You will be notified when it is on the way. Shipping options are available at checkout. USPS Priority is 2-3 days shipping. USPS Parcel Select Ground is 2-9 days shipping.